SERVICE.--Duty at Nashville, Tenn., until May 31, 1864. Moved to Huntsville, Ala., May 31, and Garrison duty there until November. Repulse of Buford's attack on Huntsville September 30-October 1. Companies "A," "C," "D," "F," "H" and "I" moved to Louisville, Ky., October 16, to draw horses and equipment; thence moved to defense of Paducah, Ky. Duty at Paducah until November 1. Moved to Louisville, Ky.; thence to Nashville, Tenn., and to Lavergne November 30. To Murfreesboro December 1. Owens' Cross Roads December 1. Siege of Murfreesboro December 5-12. Murfreesboro December 8-9 and 13-14. Near Paint Rock Bridge, Ala., December 7 (Detachment). Moved to Nashville December 19. 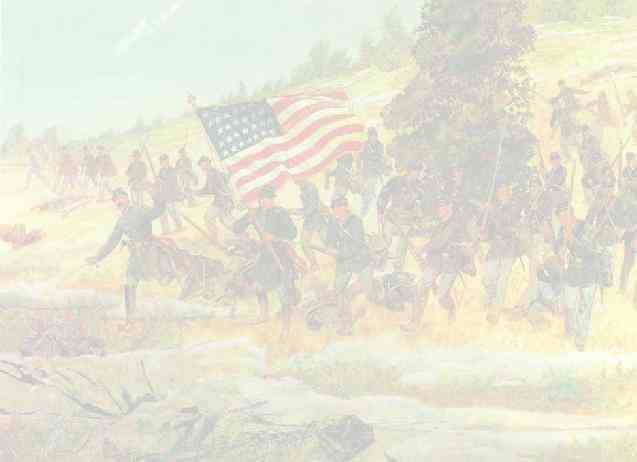 Companies "B," "E," "G," "K" and "L" participated in the Siege of Decatur, Ala., October 26-29. Battles of Nashville, Tenn., December 15-16, Hillsboro December 29 and Leighton December 30. Regiment moved to Vicksburg, Miss. ; thence to New Orleans, La., and to Mobile Bay February 11-March 23, 1865. Campaign against Mobile and its defenses March 23-April 12. Siege of Spanish Fort and Fort Blakely March 26-April 9. Capture of Mobile April 12. Grierson's Raid through Alabama, Georgia and Mississippi April 17-May 22. Garrison duty in Dept. of Mississippi until November. Mustered out at Vicksburg, Miss., November 18, 1865.